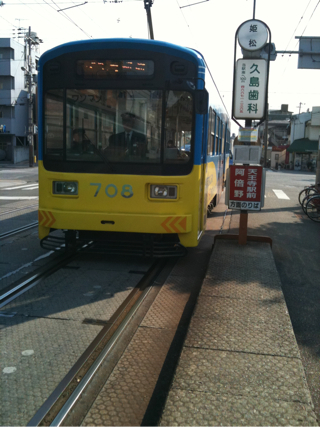 We got on チンチン電車. It was the first time for my little monster. 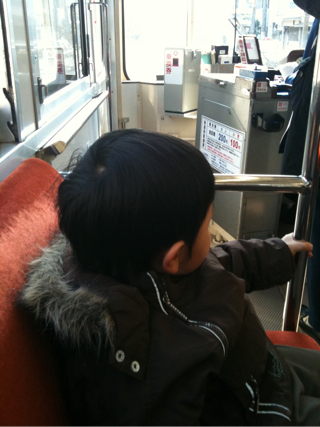 He enjoyed on the train.